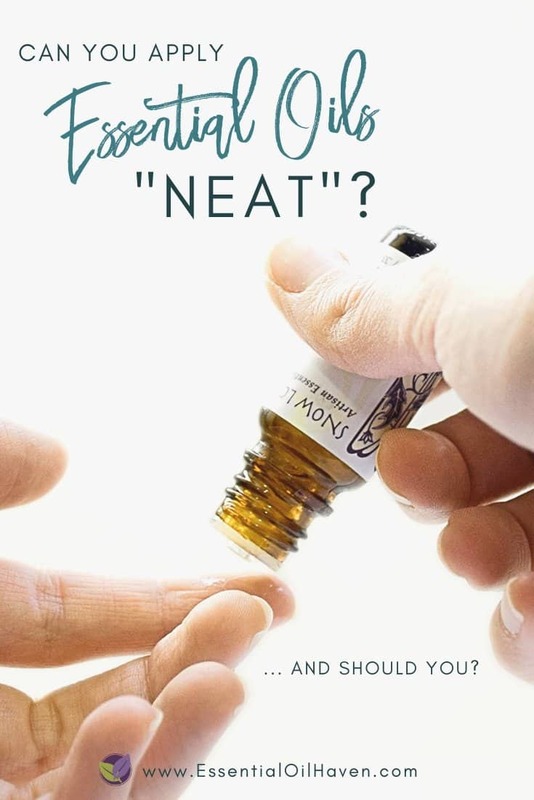 Can You Apply Essential Oils Neat? And Should You? A Complete Guide. 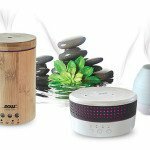 Home » Can you Apply Essential Oils Neat? 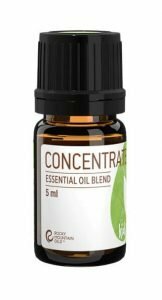 Applying essential oils “neat” refers to the use of essential oils where you put the oil directly onto the skin without prior dilution with a carrier oil. Neat = Undiluted = Full Strength. 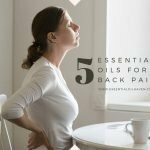 Most commonly, Lavender oil and Tea Tree oil are advocated for to use in this way. While the practice of applying essential oils neat may be recommended by many wellness advocates, aromatherapists or authors, the question remains: should you really do it? It is a very controversial topic. 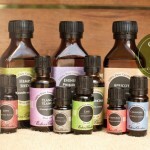 Aromatherapy and essential oils are a wonderful part of holistic medicine. I am not trying to scare anyone out of their use. Just remember that essential oils are extremely concentrated liquids and less is always more. 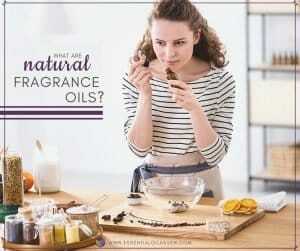 Treat essential oils with the same respect and diligence as traditional medicines you might use. 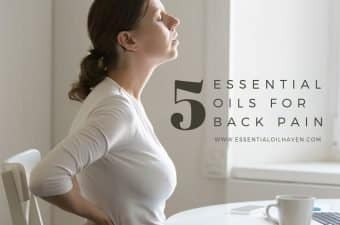 I always refer to my stash of essential oils as my “medicine cabinet” of essential oils – and rightfully so. I use my oils for a wide range of day to day things, but when reaching for them I do know in my mind and my heart that I am using nature’s medicine, and not just some perfume or nice-smelling “stuff”. 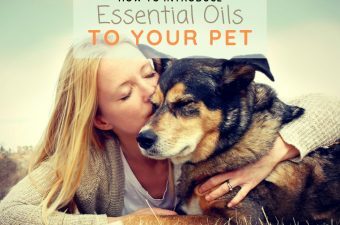 Treat your oils with respect, and they will treat you well in return! Be careful of NEAT essential oils application. It may lead to itchy, irritated skin. Because essential oils are so concentrated, they can severely irritate your skin if used neat and can cause rashes, itching, or even tears. Skin irritation is a short-term issue and can be treated by massaging any carrier oil into the irritated area. 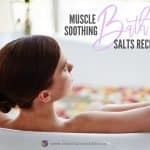 This helps to relieve some of the essential oils potency and dilute it after the fact that it’s already been applied. I know, sounds weird, but I have seen this work beautifully once with a lemon skin irritation. 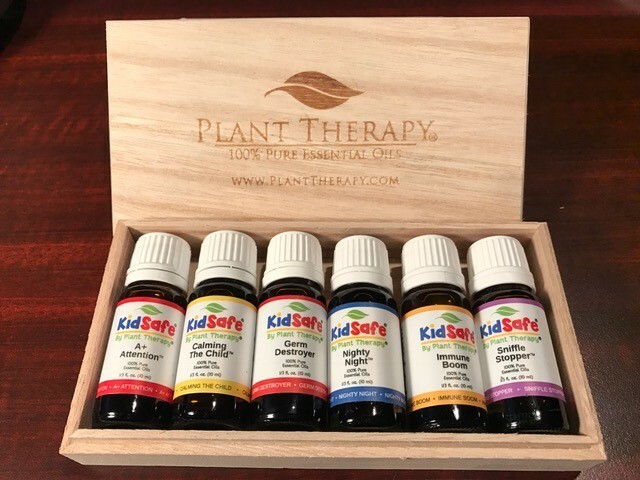 If you end up with unhappy skin, possible tears, or severe sensitivity with an inability to ever use that precious healing oil again, you have definitely overdone the neat application of essential oils. Additionally, just FYI, it is never wise to apply essential oils to your eyes or private areas. In addition to short term skin irritation, you may also put yourself at risk for permanent skin sensitization from using essential oils neat. 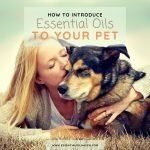 Wendy Robbins from aromaweb.com has been working with essential oils for nearly 25 years and outlines the scenario of permanent skin sensitization due to essential oils use (1). In her case study, even just one drop of Lavender per use lead to permanent skin sensitization. If the patient even just as much as comes into contact with Lavender of any form now, the result is a red, itchy rash called contact dermatitis (2). 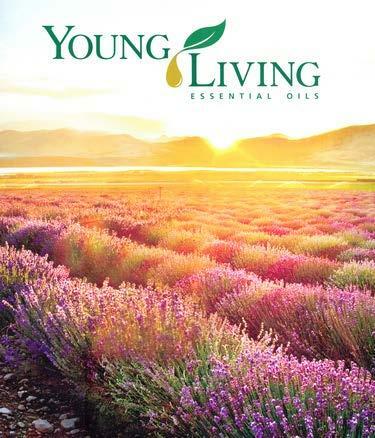 This case study is from a book by Marge Clark, titled “Essential Oils and Aromatics”. You can find it on Amazon Kindle for under $5 if you’re looking for a well-educated read! 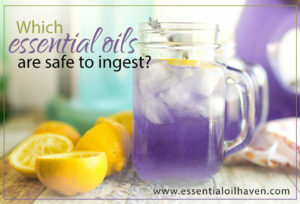 Diluting essential oils is not only recommended to protect your well-being, it can also save you money! The most common dilution percentage recommended is 2%. This means, 2% of what you apply to your body will be essential oil, the remaining 98% is carrier oil. 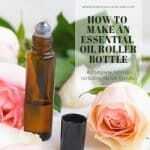 If instead of diluting, you applied essential oils neat, that would mean 100% essential oil and 0% carrier oil. 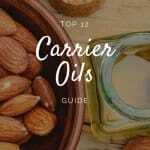 In terms of cost, essential oils are more costly than carrier oils. So without any more math, using oils neat is more expensive than using them diluted. Now, this article on essential oils “neat” use wouldn’t be complete without outlining the “hot” essential oils. Never never ever apply those oils to your skin topically without dilution. Do a Skin Patch Test before Applying any Essential Oils Topically. 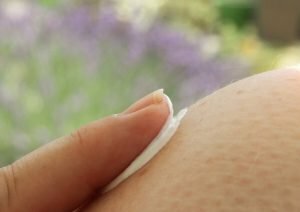 The simplest way here is to learn if you have skin sensitivities against any essential oils or carrier oils, is to do a skin patch test. A skin patch test is recommended for first-time uses of anything new to your skin. That way, you can test your skin’s response before applying new product liberally. Common areas for skin patch testing are the inside of your wrist or the inside of your elbow. The skin is quite thin there so if the product you are testing is going to cause problems for you, it’ll very likely show up in those areas. The patch test will help you identify what you want to prevent on a larger scale all over your body. Apply the new product and wait 12-24 hours for complete results.If nothing happens, you may use the product with no fear in mind. Consult your dermatologist if you find you have particularly difficult skin and need more personalized care and recommendations. The term “neat” simply means “undiluted”. 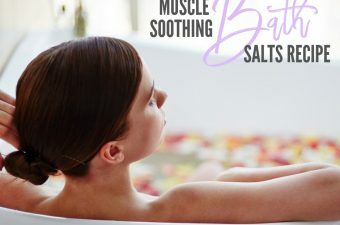 When an essential oil company such as Rocky Mountain Oils advertises NEAT blends, this does NOT mean that you can apply these oils to your skin undiluted. 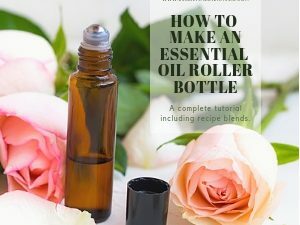 It simply means that the bottled oil blend is undiluted, as opposed to being stretched with Fractionated Coconut Oil (FCO) like in a roll-on bottle. Some blends are diluted with Fractionated Coconut Oil because they contain luxury essential oils as part of the recipe. 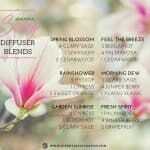 Diluting a blend helps to keep the price affordable for customers. 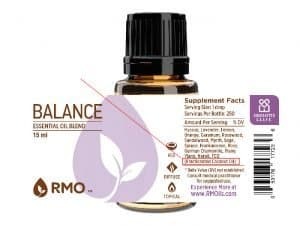 Label for the Balance blend from Rocky Mountain Oils. For example, “Balance” by Rocky Mountain Oils contains Fractionated Coconut Oil. It also contains Sandalwood and Rose, both of which are super expensive oils. 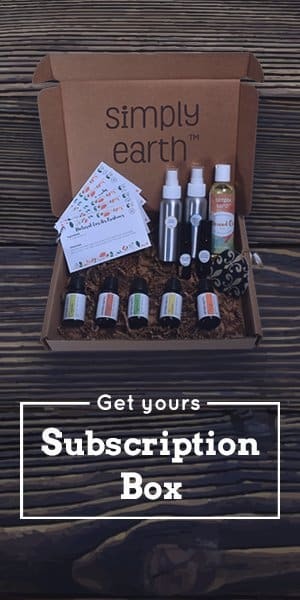 The fact that the blend is stretched actually doesn’t bother me, because I know then for sure that the essential oils used in it are pure and 100% real. 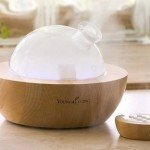 If you ever see an essential oils company can sell Sandalwood or Rose for under $20, beware! Following all best practices for quality and sourcing, and actually using real plant materials and not synthetic fragrances, that is simply not achievable. 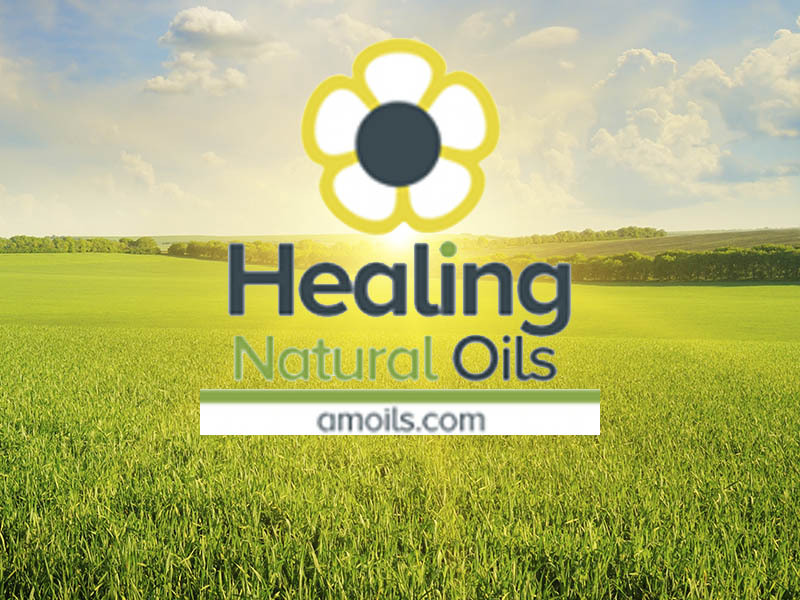 So – I love Rocky Mountain Oils! 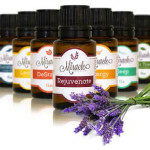 They offer a beautiful selection of essential oils and synergies. Simply buy the “neat” version if you plan to mainly diffuse it – and start reading labels. This is so helpful and informational. I’m so glad I came across your post. I’ve been reading a lot of recommendations on using Frankincense neat for wrinkles, etc. We always dilute our oils, especially for the kids, so it seemed odd. Thank you so much for sharing this information!